This month, Daniel Ghinn shares his opinion on where he sees social media in pharma will be heading in the future. Over the past three years I have written this monthly ‘Pharma Gets Social’ column, reviewing and analysing social media initiatives by pharmaceutical companies. In a sense, the column has documented the progress of pharma in social media, and I have reflected on innovative strategies to support clinical trials; social media in corporate communications; and quirky social media experiments. This month, I’m going to take a look into the future of pharma in social media and suggest three trends I see emerging today, that I believe will become familiar concepts over the course of the next year. In doing so I will shed light on some of the work I am personally involved in that is changing the way pharma sees the role of social media. On the one hand, pharma has been studying the digital behaviours of health stakeholders for several years, and developing insights to inform engagement strategies. Certainly my work over recent years has included studies of online search behaviours to inform strategies for public health campaigns; analysis of customer journeys across multiple digital channels to learn about campaign effectiveness; and studies into the social media behaviours of patients and healthcare professionals (HCPs) to identify opportunities for digital engagement. The growing trend, however, is to use social media as a market research resource to inform engagement and communications strategies far beyond digital engagement. The online behaviour of pharma customers in open social media channels can provide market researchers with rich intelligence about unmet information needs and concerns. A recent study conducted for a pharma company into conversations among healthcare professionals in Europe, for example, identified a particular training need among nurses. 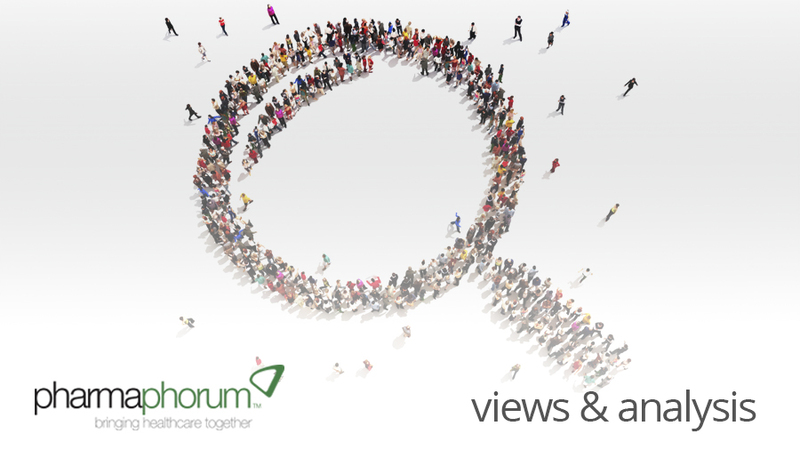 After analysing nurses’ concerns voiced in a series of open forum posts, the company put together a series of training events featuring some of the most prominent online HCPs, to rapidly address the nurses’ knowledge gaps. In another example, a pharma company identified through the tweets of doctors that they had concerns and information needs about particular aspects of a new drug. Although the company had made available the information needed by the doctors through its dedicated HCP website, it was clear from social media conversations that some doctors were unaware of the site or its contents. Reps in the field were therefore made aware of the knowledge gaps and equipped to support doctors in accessing the website. Now that these kinds of customer intelligence based on the digital behaviours of HCPs are easily available, we can expect to see increasing numbers of pharma companies using them to inform messaging and engagement strategies well beyond digital channels. In the past, most pharma social media initiatives – aside from corporate communications – comprised campaigns focused on raising awareness of a particular therapy area or disease among patients, or on promoting medical education to healthcare professionals in closed HCP communities. The emerging trend is for pharma to focus on customer engagement rather than campaigns. Customer engagement reflects a two-way dialogue between the company and its customers, with the emphasis on responding to customer needs rather than promoting a particular message. Engagement is the logical follow-up to listening to customers in social media. It is directed by discovered needs of individuals or groups of customers, and involves a long-term commitment to supportive dialogue in open channels. Perhaps the most radical new trend will be pharma providing personal customer support to individuals who voice concerns or needs in open social media channels. This is already a well-documented practice among mainstream FMCG brands such as Dell, who actively monitor for customer comments and questions posted in public social media and have developed a reputation for proactive customer engagement. Traditionally, pharma has resisted actively listening to social media channels. In an environment where companies have a limited range of topics they can discuss with patients, concerns about regulatory compliance make such activity risky, difficult and almost impossible to plan for. Today, however, pharma companies are able to distil the voice of HCPs from public social media channels, listening directly to conversations among physicians. This allows the development of regulatory-compliant tactics for responding to customer needs. Pharma’s approach may never be as open as that of an unregulated FMCG brand, but opportunities already exist to direct HCPs to approved published content to answer questions, or to respond in private. In a recent example, a pharmacist tweeted a question about the availability of a particular new drug in his market, and an individual from the drug’s maker responded openly with a tweet directing him to an online resource answering the question. For pharma to engage HCPs in personal customer support via social media will require careful consideration of regulatory compliance and sensitivity to the pharma-HCP relationship. One of the benefits to HCPs of using public social media channels such as Twitter, rather than closed doctors’ networks, is freedom from pharma sponsorship. As Emergency Physician Mike Cadogan put it when he introduced #FOAMed, a global open knowledge-sharing social media movement for HCPs, at the International Conference on emergency Medicine last year, “We wanted to have an education resource for emergency doctors without input from pharma…”. The challenge, as always, for pharma, will be for every engagement to add genuine value to the customer. Those who succeed will develop trust, loyalty, and, I believe, relationships that truly benefit the HCP, the patient and the company. Daniel’s next article will go live on 18th November. Daniel Ghinn is CEO of Creation Healthcare, the market research led strategy consultancy for pharma, and inventor of Creation Pinpoint, the world’s leading market research service for studying healthcare professional conversations in public social media channels. You can reach Daniel by tweet @EngagementStrat or by email daniel.ghinn@creationhealthcare.com. Can pharma support customers via social media?